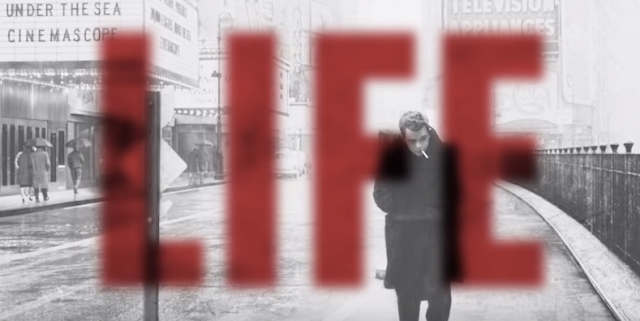 'Life': A movie about photographer Dennis Stock and actor James Dean. Watch the trailer. August 14, 2015 /Photography News/ Anton Corbijn made his career as a photographer before jumping over to feature film direction with Control, a biopic about Joy Division’s Ian Curtis. For his latest movie, he’s once again turning his attention towards photography, more specifically towards a photographer. Titled simply 'Life,' the movie brings Corbijn's well-observed understanding between the photographer and subject in a drama that stars Dane Dehaan as the reluctant star James Dean, and Robert Pattinson as the sensitive photographer Dennis Stock who manages to capture some intimate moments with the iconic actor. James Dean tragically died at age 24, having only completed three films but this time his story is told through the eyes of a man who captured the most iconic stills of his career. The film, written by Luke Davis, largely follows the same precipices as the book Beautiful Enigma: LIFE With James Dean, which was written by Dennis Stock and published in 2005. Life also stars Joel Edgerton, Ben Kingsley and Kristen Hager and is set for release this September. It sounds really interesting. I can't wait for the release!